One of the most mind-boggling tricks that magic author Joseph Leeming (1897–1968) has ever done is render himself invisible for the past 91 years. Sure, his books have been pretty conspicuous, infiltrating virtually every library from Pittsburgh, Pennsylvania, to Pittsburg, California. And he wrote a lot of books during his lifetime: 58, to be exact, and 10 of those were all about magic, including one of the first magic books I ever read: Fun with Magic. But somehow Leeming still managed to keep his private life, well, private, which is kind of ironic considering he spent some of his career as a public-affairs officer. Not that we nostalgic, prying types have an inherent right to know every intimate detail of his personal affairs, but he was a public figure who has inspired three generations of children to delve deeply into conjuring, crafts, games, and other recreational pursuits that will last lifetimes. We want to know more about him! 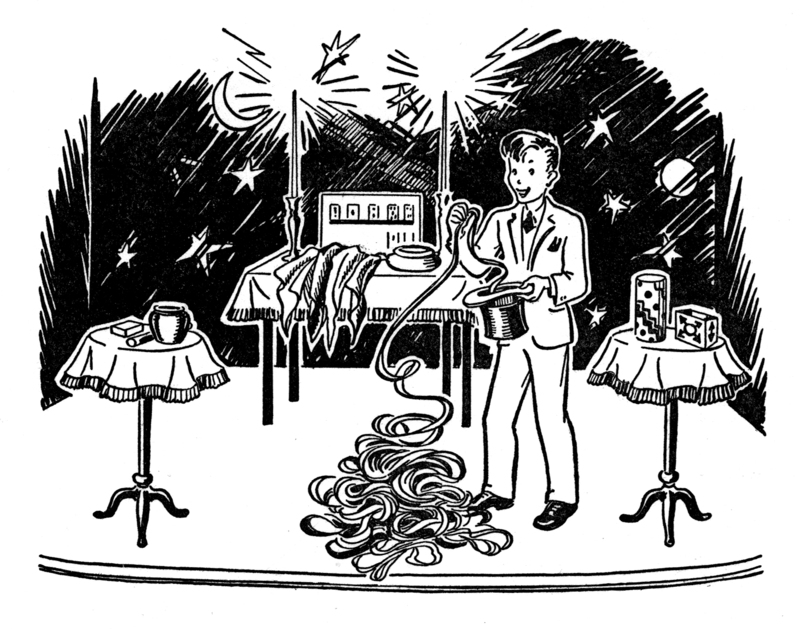 Illustration by Jessie Robinson, Fun with Magic, by Joseph Leeming, 1943, J.B. Lippincott Co. So last week I decided it was time to do some digging and update at least the Joseph Leeming Magicpedia page, which, before last Tuesday, contained very little content and listed only five of his books. 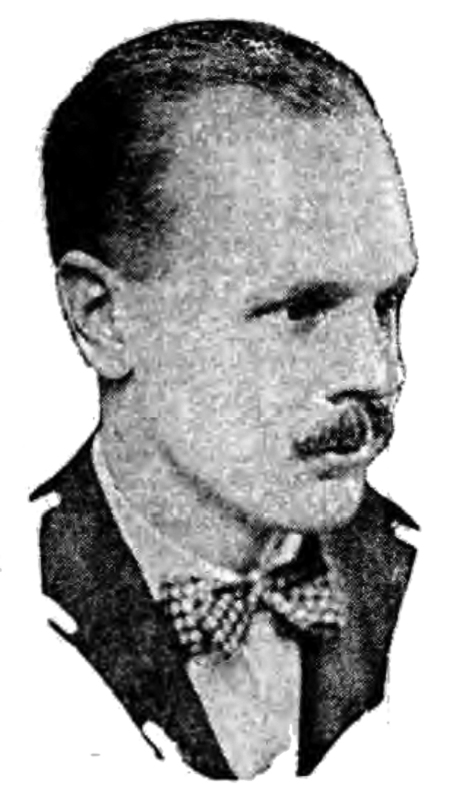 For those interested, the page, while still a work in progress, now includes a more detailed and accurate (albeit short) biography, a complete list of every book Leeming wrote during his lifetime, corrected names and dates, and a photo of the man himself—the photo that accompanies this blog article and one most people haven’t seen since 1927. I’ll continue adding to the page as time allows. For starters, I’ll lengthen the biography, expand the book list to include posthumous and translated editions, and find a clearer photo to use. In the mean time, I’ll get you started here, and you can decided whether or not you want to read more. This entry was posted in Authors, Books, Books, Fun with Magic, Illustrators, Jessie Robinson, Joseph Leeming, Learning, Magicpedia, Photos, Professor Hoffmann (Angelo Lewis), Reading, Resources and tagged 1897, 1927, 1968, angelo lewis, jo-ann leeming, joe, joe leeming, joseph, Joseph Leeming, leeming, leming, lemming, Magicpedia, merlin swift, paradise, professor hoffmann professor, robert lund, zingara. Bookmark the permalink.